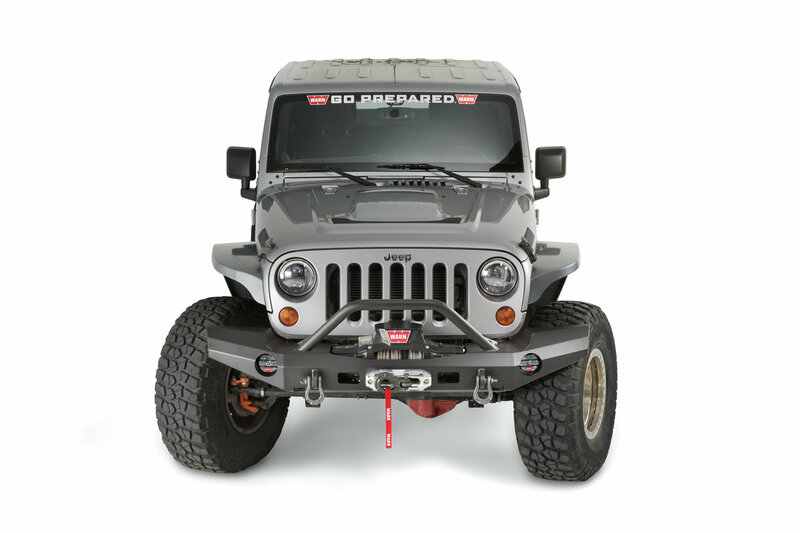 Give your Wrangler JK the ultimate protection with Warn's Elite Series Front Bumper with Grille Guard. 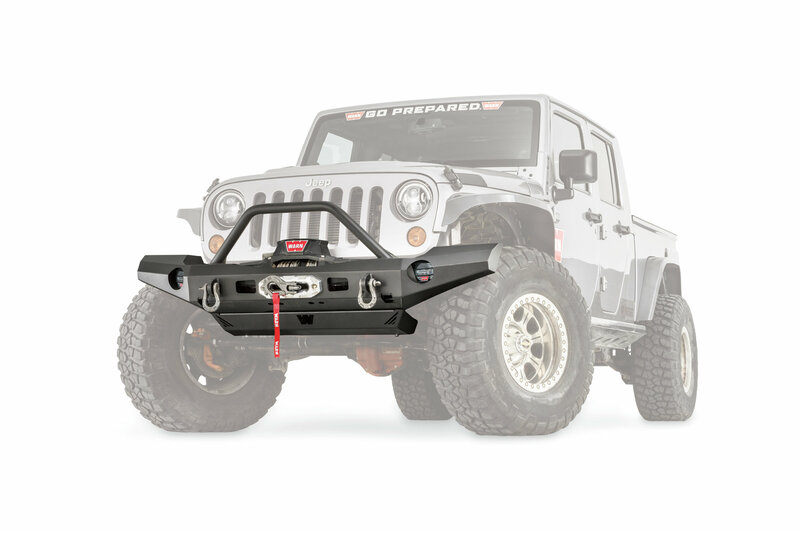 This full width bumper extends protection all the way to your fender flares while the grille guard will protect your radiator among other things. Add the recessed jack mount points for a recovery option along with the d-ring mounts and you have a trail ready bumper that looks great. Shown with optional skid plate. 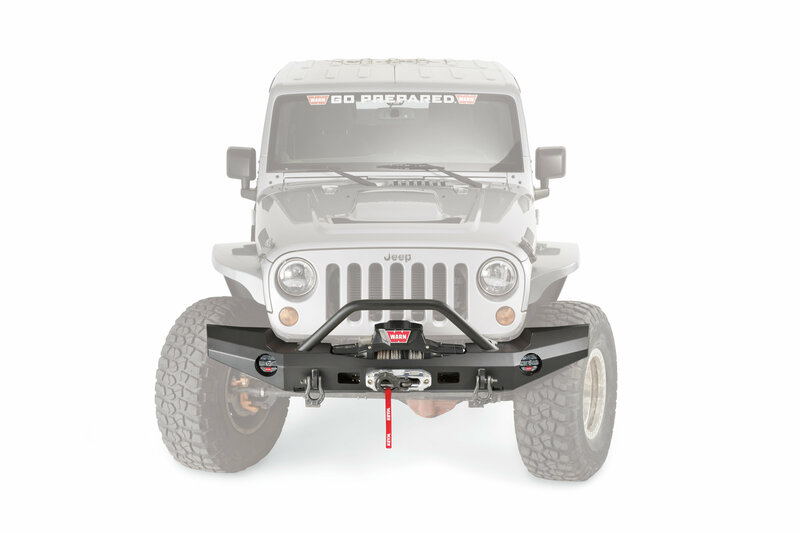 Features: Integrated jack points & shackle mounting tabs for recovery points, this bumper is made to withstand 12,000lbs of pulling force to help you out of a jam while off-roading. Wrap around full width design for added protection & style. 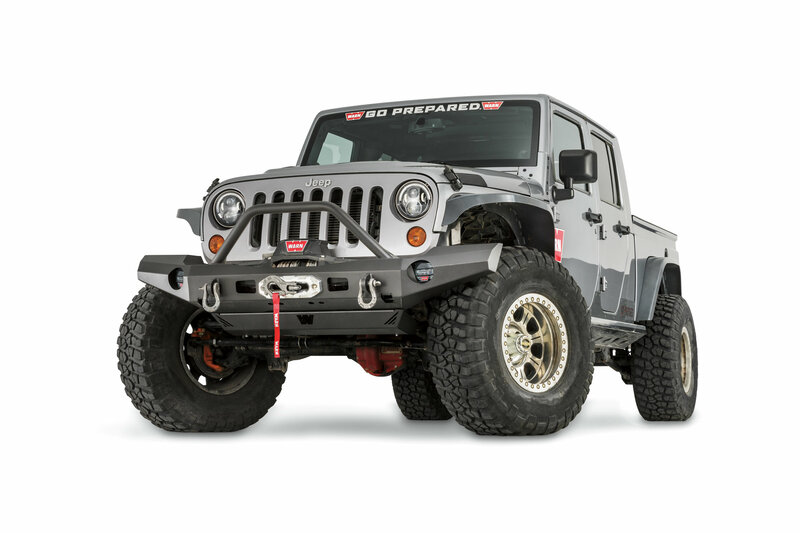 Built in light cut outs for OE or aftermarket lights & will accommodate up to 37" tires with only a 2" lift. Welded on grille guard to protect your radiator and grille of your JK. The winch is positioned so your engine will still get maximum airflow. 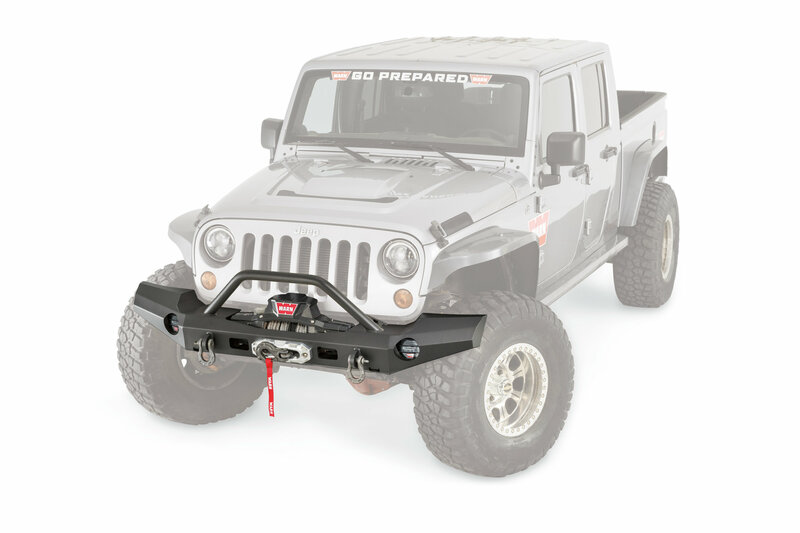 Installation: This bumper is a simple bolt on front bumper for your Wrangler JK & comes with all the necessary hardware needed for installation. 1. Will NOT Fit: PowerPlant, 9.5cti, 8274, M12, M15, 16.5ti winches.